Injustice anywhere is a threat to justice everywhere, said Martin Luther King. It is not just judicial justice. Judicious society is expected to ensure a just regime across colour, creed, class, caste – any social barrier for an inclusive system so that nobody is excluded. Exclusion is also against the tenets of social justice. The inclusive society is expected to ensure equal opportunity, fair deal and does not deprive anyone. This is enshrined in World Day of Social Justice (WDSJ), which the United Nations General Assembly decided to observe on February 20 every year as WDSJ in accordance with the objectives and goals of the world Summit for Social Development. The UN approved the decision on November 26, 2007. The observance of the day started in 2009. Observance of WDSJ would support efforts of the international community in poverty eradication, the promotion of full employment and decent work, gender equity and access to social well-being and justice for all. It is a day that recognizes the need to promote efforts to tackle issues such as poverty, exclusion and unemployment. We find the Narendra Modi government proactively doing many things to rout these social evils out. The most recent is the amendment to Payment of wages Act that ensure payment through cheque or to the bank account. The ostensible reason is stated to be to ensure full payment of promised wages to the workers. 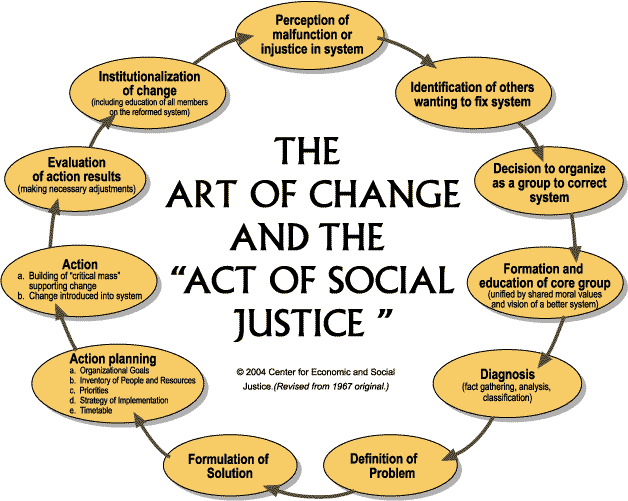 The UN stated that social justice is an underlying principle for peaceful and prosperous coexistence within and among nations. “We uphold the principles of social justice when we promote gender equality or the rights of indigenous peoples and migrants. We advance social justice when we remove barriers that people face because of gender, age, race, ethnicity, religion, culture or disability”. The new economics recognises that the economy is embedded in a society and culture that are embedded in an ecological life-support system, and that the economy can't grow forever on this finite planet. Indian society has been striving for ages to ensure equity and justice. Some of the most devoted workers for social justice in the history of India have included Chaitanya Mahaprabhu, Swami Raavidas, Swami Vivekananda, MG Ranade, Veer Savarkar, KM Munshi, Mahatma Gandhi, Babasaheb Ambedkar, Tarabai Shinde, Behramji Malabari among others. The resolute force and courage of these reformers along with the ardent support from the people enabled them to take robust actions against injustice. What Indian government is doing is in accordance with the International Labour Organization (ILO) resolution of 2013 concerning sustainable development, decent work, and green jobs putting forward a policy framework for a just transition. Key policy areas as per ILO are macroenconomic and growth policies, industrial and sectoral policies, enterprise policies, skill development, occupational safety and health, social protection, labour market policies, rights, social dialogue and tripartism. The Constitution of India accepts the use of social justice in wider sense, which includes both social and economical justice. As former Chief Justice P. B.Gajendragadkar put it, “In this sense social justice holds the aims of equal opportunity to every citizen in the matter of social and economical activities and to prevent inequalities”. In the Third Committee, 67th UN General Assembly , Parliamentary Affairs Minister Ananth Kumar reaffirmed that India will provide full support to the efforts of the UN, in particular ‘UN Women’, which has recorded significant achievements in only two years since its establishment and assist the General Assembly in all their efforts to ensure Social Justice. It may be noted here that UN Women is the global champion for gender equality, working to develop and uphold standards and create an environment in which every woman and girl can exercise her human rights and live up to her full potential. As a measure to facilitate Social justice, India has enacted a comprehensive Protection of Women from Domestic Violence Act which recognizes that violence can take various forms, including physical, economic, social and psychological. This act provides a legal tool for women to fight violence within the family – both marital and familial abuse. The law seeks to provide support to women victim of domestic violence in form of shelter, medical help, compensation, maintenance orders, and temporary custody of children. The MGNREGA is the biggest action for ensuring right to work. The corporate social responsibility in the Companies Act brings a new dimension of sharing profits. The central government in the union budget announced around 54 per cent of the Social Justice and Empowerment Ministry's budgetary allocation in the year 2016-17, was spent on Scheduled Castes (SC) scholarships benefitting about 60 lakh SC persons and another 53 lakh from OBCs..
Budget of the ministry has been steadily increasing from Rs 54.52 crore in 2014-15 to Rs 69.08 crore in 2017-18. This is an increase of 6 per cent,” Minister for Social Justice Thavar Chand Gehlot says. He also says the definition of "atrocity" has been widened and amendments were introduced in June 2016 to protect the Scheduled Castes. "Compensation payable to victims of atrocities has been enhanced and in the previous year 42,541 people were given compensation of Rs 139 crore," he said. "The three corporations of the ministry -- National Scheduled Caste Finance Development Corporation (NSFDC), National Backward Class Finance Development Corporation (NBCFDC), and National Safai Karamcharis Finance Development Corporation (NSKFDC) -- distributed around Rs 552 crore through digital mode to almost two lakh beneficiaries," he added. But the situation in the world is not that bright.